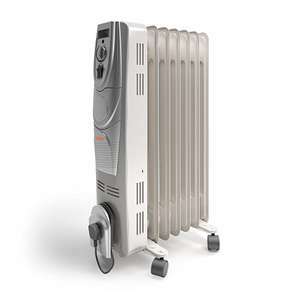 1500w oil filled radiator provides fast, even and lasting heat. Perfect for rooms up to 30m². Seems a good buy but site does not show the secure padlock sign so …Seems a good buy but site does not show the secure padlock sign so reluctantly did not order. http = (hyper-text transfer protocol) try adding an S (secure) and see if the lock icon appears... https is the "secured" site. i hope that clears things up and makes sense. If you can't trust Vax, then who can you trust? Thanks but still couldn't get it at that price when http added - probably …Thanks but still couldn't get it at that price when http added - probably me not doing it correctly. Seems a good buy but site does not show the secure padlock sign so reluctantly did not order. http = (hyper-text transfer protocol) try adding an S (secure) and see if …http = (hyper-text transfer protocol) try adding an S (secure) and see if the lock icon appears... https is the "secured" site. i hope that clears things up and makes sense. Thanks but still couldn't get it at that price when http added - probably me not doing it correctly. Thanks - will try again. - Ordered - thanks everyone for help and advice - and op for posting. Thanks, bought this and the £10 iron. Good reviews + even better price = HEAT! Good price but was never worth anything like £50. Ordered! Thanks for posting :-) Heated! Saw your message as i needed an iron as well so bought the same one £10.It is a very good price.Thank you. I did not buy the heater as do not need one.Bought the iron for £10 though. I have this radiator. Bought from Amazon nearly 6 months back. It was from warehouse at this price. It's a good radiator but depends where you use it. I have connected it to my smart plug and Google home controls it now. Thanks OP, this is just what we were looking for. Really good price for an oil-filled radiator. I got the iron too - didn't really need one - but what the hell - worth having a spare in at that price! Looks like Iron is out of stock but ordered radiator, thanks op. Do these cost a lot to power? No. They are the least power consuming. interesting, it seems to disappear after I add into the basket and checkout. interesting, it seems to disappear after I add into the basket and …interesting, it seems to disappear after I add into the basket and checkout. It did this to me once as the site was so slow. I put it back in my basket and it let me check out but I didn't get to the final confirmation page but checked my emails and got a confirmation there. It did this to me once as the site was so slow. I put it back in my …It did this to me once as the site was so slow. I put it back in my basket and it let me check out but I didn't get to the final confirmation page but checked my emails and got a confirmation there. Thanks. I persevered and after about 10 attempts I managed to order one. Hope they dont send me radiators for all the failed attempts.